The Eden Alternative® announces the addition of Riverside Care & Rehabilitation Center to its international Registry, joining 250 national and international long-term care communities committed to improving quality of life and care for the people they serve. “With more than 15,000 nursing homes in the United States, Riverside Care & Rehab demonstrates its aspiration to become a prominent skilled/intermediate care provider in the greater Mclean County area,” said Eden Chief Executive Officer, Chris Perna. “Achieving Registry status indicates Riverside’s understanding of the unique needs, preferences, and desires of those individuals entrusted to their care,” he added. Working with employees at all levels of Riverside, the Eden Alternative provided professional development training in person-directed care, an evolving process that honors the voices and choices of elders and those working most closely with them, thus transforming the delivery of care to the entire community. “Culture change is the common name for a global initiative focused on transforming long-term care as we know it,” explained Riverside’s Administrator Tiffany Winchel, “and our entire team was eager to shift its care practices and values to put the individual first,” he noted. Throughout this comprehensive Registry process, both ancillary and clinical staff at Riverside focused on core person-directed values that included choice, dignity, respect, self-determination, and purposeful living. “We embraced The Eden Alternative’s multi-phased process that provides principles and training strategies to create a vibrant, life-affirming environment where each person matters and everyone has opportunities for growth, regardless of age or abilities,” added Tiffany Winchel. 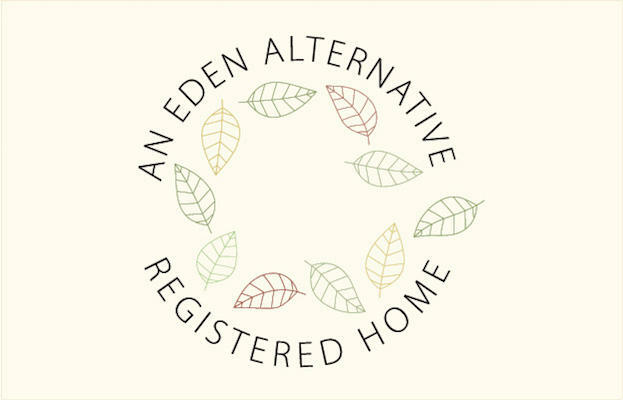 “We have diligently worked through the preparation to become an Eden Registry Member because our care partner team is committed to enhancing its delivery of support services using the principles and practices of The Eden Alternative,” said Tiffany Winchel, clarifying Eden Alternative’s belief that the most effective support happens when there is a partnership between the caregiver and the care receiver. “We will continue to progress through three additional Eden Alternative Path to Mastery Milestones that will deepen our integration of person-directed care practices. It is something we all want for our loved ones, and eventually for ourselves,” Tiffany Winchel concluded. The Eden Alternative is an international, nonprofit 501(c) 3 organization that provides education and consultation for organizations across the entire continuum of care. With its person-directed care philosophy, it is dedicated to creating care environments that promote quality of life for Elders and those who provide support, leading to improved quality of care and higher rates of satisfaction.